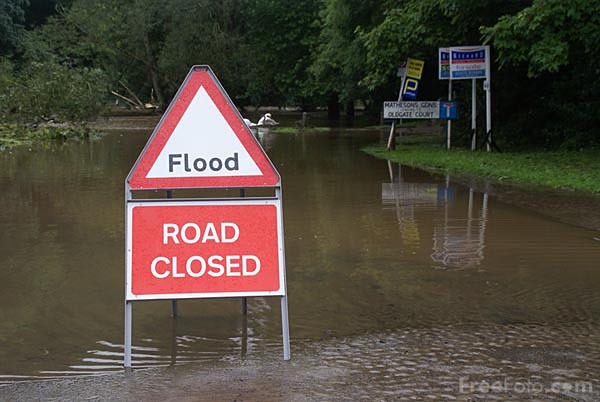 Morpeth, Northumberland, was badly affected by flooding on Saturday 6th September 2008 after the River Wansbeck burst its banks. The local council said around 400 homes had been damaged, as the town endured a month's worth of rain fall in just 24 hours. Toby Willison, Environment Agency regional director, said "What we saw yesterday was a unique event - we recorded the heaviest levels we have ever recorded coming through Morpeth. We are working to improve the defences, but the events of the last 24 hours have been unprecedented." VIEW: More images from the category Morpeth Floods September 2008 or taken at the same location or around the same time .